You’ve put your in the time preparing for your this day and we’ve spent years preparing to dress you for it. 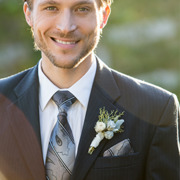 Let us help you and your groomsmen look amazing in a great-fitting, stylish, and affordable outfit that will live on long past the wedding day. However you tie the knot, we’re here to help you find the right fabric and style to suit the big day or any special event. Your groomsmen don’t want to rent an expensive tuxedo that doesn’t fit and has to be rushed back the next day. Give them something to show for their money with great suit they’ll love and wear for years to come!